Marine Corps Air Station Miramar will hold a major training exercise Friday involving two of its aircraft squadrons. “Residents around Del Mar, University City, and Carmel Valley may experience a high volume of military air traffic and as well as atypical flight patterns as the aircraft proceed to training ranges above the Pacific Ocean,” Marine Corps officials said in a statement. 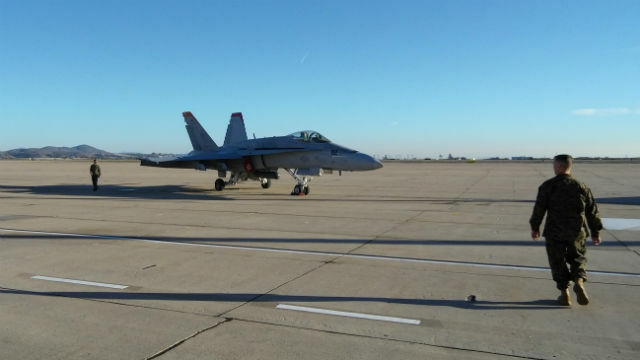 The readiness exercise by the 3rd Marine Aircraft Wing is expected to begin around 10 a.m. and last four to six hours. The exercise is not expected to inconvenience the public, according to the Marines.